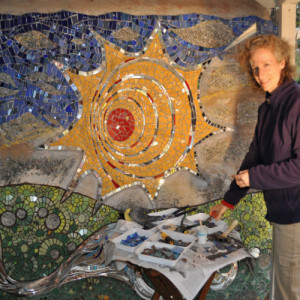 Mosaic Spaces is a professional original art studio where Philadelphia artist Claire Brill creates mosaic works large to small. Claire is well known throughout the area for bringing community members together on projects. 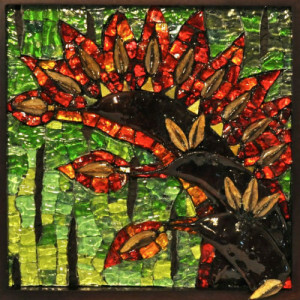 She designs custom mosaics for homes, businesses, and public sites. 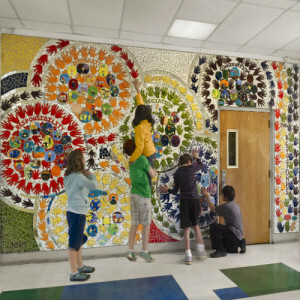 The scope of her projects include entryways, reception areas, garden mosaics, playgrounds, architectural elements, and school corridors. In her fine art Claire uses handmade tile and objects found in nature in combination with more traditional materials such as stained glass, smalti, and stone.